I have outlined my nutritional guidelines before, but as more research is published and the picture of how diet affects health becomes clearer, we have to evolve. If we don’t change with the science, our theories are more product of ego than thought. Most of my thoughts are still the same, so you’ll notice some obvious carryover from that last post. Also, this time around, I’m going to speak to what I believe to be some important lifestyle factors. Maybe I should title this post “Live Like This, Not Like That.” That just seems too dogmatic. First I’ll lay out what I think are the big ones, then common ways to mess it up, and finally an appendix of supporting detail. Don’t eat processed food. If it has a nutrition label, ingredients list, and barcode, chances are good it is not real food. The staples of your diet should be animal products and vegetables (even, or perhaps especially, the starchy roots and tubers). If something feels wrong, figure it out. Eating right will make you feel amazing – if you don’t feel amazing, investigate why. Food over pills. Do your best to get your nutrition from food (and sunlight in the case of VitD) not supplements. Let paleo into all corners of your life. In addition to eating like a human is meant to, think about what it means to live like a human is meant to. It includes exercise, social interaction, time management, and sleep, to name a few. Make it YOUR diet. Every animal has a diet, and the goal here is to eat your version of a human diet. What you eat is important and should be treated as such; your diet is everything you put in your mouth from now until the day you die. You should develop an intimate understanding of how your body works with food – just pay attention. Continuing to eat garbage. I think a very wide range of diets can be called paleo – it sure doesn’t bother me. 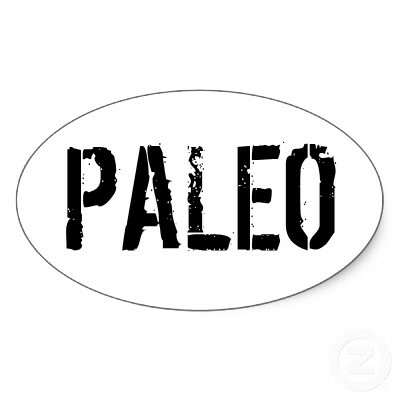 You can’t call it paleo if you’re still eating bread crusts or drinking diet coke. I’ll rip off your bumper sticker. Thinking that paleo has to be Paleo or “paleo” like they read it in a book. People are different – you’ll be a different person tomorrow – so their diets should be different too. Also, things change. There are many brilliant bloggers and authors in the paleosphere and not one is recommending the same thing today that they did one year ago. Make decisions for yourself based on your own research and experience. Paleo-izing a crappy diet and lifestyle. Eating paleo pizza every night and bear-crawling for your monthly 10 minute workout does not a healthy human make. This will also result in removal of your bumper sticker. Not owning your life. No one cares about your health more than you do. From here on out, the post is just a little more detail on the diet front. In my opinion, protein is the most vital macronutrient, and meat/eggs are the best source of that protein. (For the love of diet, eat the yolks too!) It’s pretty widely accepted that what separated us from monkeys in evolution was the percentage of meat in our diets; it allowed for larger brains and flatter stomachs. Animal products are so great because the protein, vitamins and minerals are present in the forms that we process most efficiently. Think of the animals as convenient processors for our benefit: they take in nutrients in forms that aren’t as beneficial to us (grass for cows, flax seed for chickens) and produce meat and eggs with the nutrients readily available (beef, omega 3 enriched eggs). Also, go nuts with the fish, if for nothing beyond the anti-inflammatory effects of the Omega-3’s found in large proportions (don’t worry about mercury). Source of your meat and eggs is important, but don’t let it be an excuse. If you can’t afford grass-fed beef or pastured eggs, feedlot beef and eggs are still better than bread. Take ’em or leave ’em. There are definite hormetic effects associated with many compounds in veggies, meaning that some level of consumption is beneficial but too much can be detrimental. The name of the game here is variety. You can have a pound of veggies with your dinner every night if you want, just mix up your choices and be sure to eat them with fat (so you can absorb some of the fat-soluble micronutrients). So that got a little out of hand. I think you can eat all the starchy root vegetables you want. In fact, I’ll even go as far as saying that you should eat them regularly. These are veritable nutritional stars, with ascorbic acid (vit-C) you may be missing. I once advocated a low-carb diet for everyone, but those days are behind me (Chris Kresser’s podcast with Stephan Guyenet got the ball rolling in my brain and it’s been downhill from there). I know many of you are married to the idea of paleo as a low-carb diet (remember that ego quote? ), so you don’t have to take my word for it (KH, RW). I do think that low-carb diets can be great for initial fat loss, and for forcing mitochondrial fat adaption, but aren’t the optimal way to live for everyone everywhere as I once thought. I’m not necessarily recommending a high-carb diet either. I think that macronutrient ratio is largely unrelated to health outcome when food quality is high (excepting special cases like diabetics or those without gall bladders). For the record, I currently eat about 30-40% carbohydrate. Animal fat is good. Especially the thick, stable stuff from naturally raised ruminants (like cows). Coconut milk and oil are good go-tos as well, in addition to butter and ghee if you choose to do dairy. Don’t fear saturated fat, do be wary of polyunsaturated fat (PUFA). As discussed here and elsewhere, you want PUFA intake low (like 1% of cals) for optimal health. That means no “vegetable” oils. It can also be a convincing argument for controlling your bacon intake a bit. For the PUFAs you do eat, you’ll want to strive for a 1:1ish Omega3:Omega6 ratio, which should be easily achieved with a few n3-rich servings of fish (and maybe some cod liver oil) since you’re avoiding n6-rich vegetable oils. Get some weird stuff in your diet. Bone marrow, pastured liver, hearts, brain, tongue – get some variety when it come to these nutritional MVPs. If you don’t like the sound of all this strange, you should be able to at least get down some chicken liver pate. No corn, soybean, canola, sunflower, safflower, peanut, or “vegetable” oil. No “vegetable based shortening” like crisco either. Avoid large doses of PUFA in general, especially the Omega6-heavy varieties. Olive oil is ok in my book so long as you don’t heat it (think salad dressing). Watch this to save me some typing. I don’t think that it would be prudent to put a one (or even three) size fits all recommendation of fructose intake, but I’m sure too much is a bad thing. I personally aim to avoid more than 10g in a sitting (post-workout one possible exception) and 30g in a day. I often come in under that, and very rarely over it. What I’m really hoping you’ll drop here is anything with table sugar, and maybe put a leash on consumption of the more fructitious (I know…) fruits (apples, pears, and watermelon are three that come to mind). And for the love of god, no agave nectar. Grains are bad because of the hidden evils they pack in their protein. The biggest offender in this category is gluten, found in wheat, barley, and rye. (1,2,3) There are other good ones too, like gliadin, another wheat protein that may trigger reward centers in the brain and increase appettite. These nasty little grass babies tend to provide some mineral-robbing phytic acid as well. All this nastiness can be avoided with this simple rule: never eat any grains. Of course, there are a few exceptions we’ll tackle in “The Middle Ground” section. I wish that I could just paste the Soy-bashing section of The Vegetarian Myth here – definitely the best part of the book imo. We already know not to consume the ubiquitous soybean oil, but Chris Kresser explains why to avoid the rest as well (1,2). The big scary thing about soy is that it can cause cancer, hypothyroidism, and sexual dysfunction. And that all those hippies think it is so healthy. Also, soy is a legume, and we don’t want to be eating any legumes. They offer incomplete protein, phytic acid, and cause digestive issues in just about everybody (their reputation in this regard, while comical, is not joke). If you must eat beans, look into preparing them in a way that mitigates their downside (soaking, gentle cooking, etc.). I’m ok with white rice once in a while (not brown – the brown part is the protein and protein from grains = bad), but remember it’s pretty flat nutritionally, so it shouldn’t make up too much of your intake. 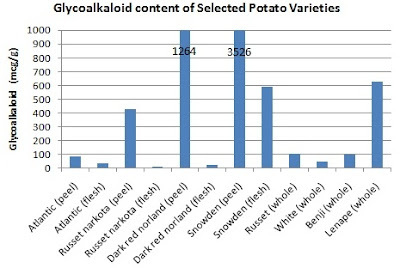 Sweet potatoes, yams, and even white potatoes are a better starch choice. Also, some people seem to do okay with corn once in a while – like actual whole corn kernels or ears, though you should find out for yourself with an elimination diet. Give dairy elimination a try for a month, then bring it back and see what happens. I personally have no issues with dairy (unless I consume it with copious amounts of fruit), but many people do. Cheese source is not a huge deal imo, butter should be pastured (Kerrygold is a widely available option), and any dairy you drink should be raw. Grocery store milk, homogenized and pasteurized, is a processed food. There is a large population that encounters problems with “milk” but does great on real, raw dairy. I don’t want to get driven out of paleo-land with torches and pitchforks, so I’ll leave this note in the middle ground section until everyone else in the paleosphere is on board. I guess I’m a chicken. A chicken who thinks that you shouldn’t eat nuts. Lots of PUFAs, often lots of n6, often oxidized (think roasted nuts) before they even make it to your gullet by the handful. Oh, and lots of phytic acid, which is part of the reason we’re avoiding grains. More anecdotally, I know lots of people who pack the things away like candy (not to mention jars of nut butter), which raises a red flag in my mind in regards to regulation of appetite. Also, nuts are a snack, and I’m not a fan of snacking – for reasons I’ll discuss next time. I should note that macadamia nuts are kind of an anomaly here, and are probably ok – just don’t eat them by the handful. As I mentioned above – I believe ideas like this should evolve over time – and educated discussion is a great way to force that evolution. Feel free to strike up such a discussion in the comments. Entry filed under: Basics, Food Choices. Tags: .